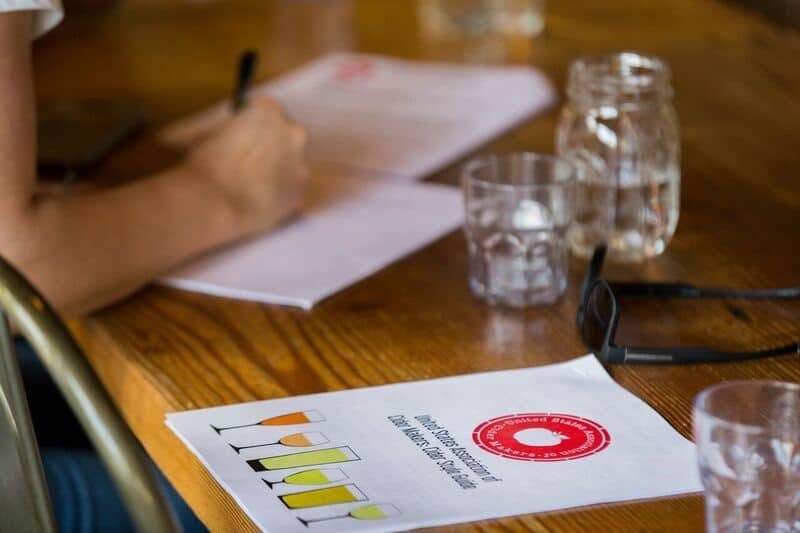 In 2016, the United States Association of Cider Makers (USACM) launched the Certified Cider Professional (CCP) exam, the cider industry’s answer to sommelier and Cicerone certifications. In the time since, the CCP certification has quickly become a badge in the cider world (USACM has certified nearly 500 people so far and expect to easily hit the 1,000 certified benchmark this year!) and, just as the industry is constantly evolving, so too is the exam. In March of 2018, USACM announced its first round of changes to the CCP Level 1 exam; the goal was to make the exam even more relevant to the intended audience of customer-facing professionals, like distributors and restaurant servers. 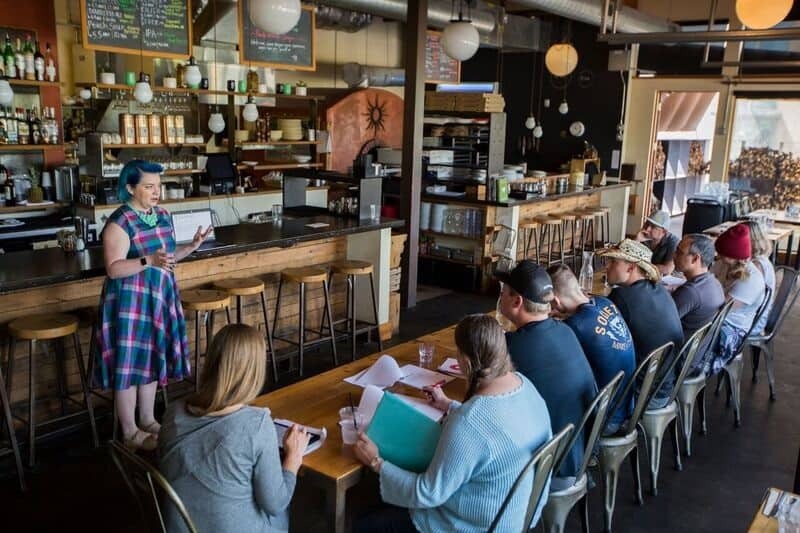 The 60-question exam was reshaped to include more questions about apples and orchard history, cider making, flavor and evaluation, cider styles, proper storage and service, and food and cider pairings, with less of a focus on detailed cider production. 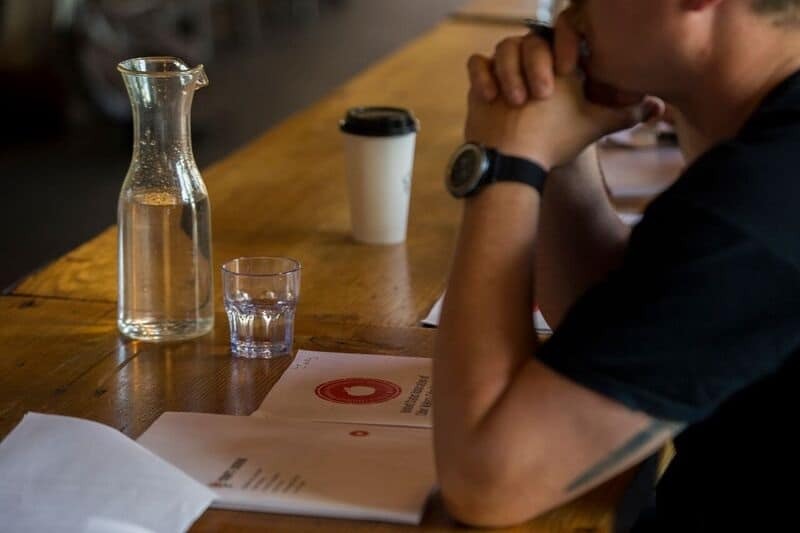 As a result, the CCP Level 1 exam has rapidly grown in popularity in the food service industry; an emerging trend is that some bars and restaurants that are uniquely committed to high standards of service — including continuing education — have gotten their entire staffs certified. Some have even signed up for in-person training workshops before taking the Level 1 exam, which is a new feature of CCP. So far, classes have been offered in Michigan, Minnesota, Oregon and California. New York, Washington, Montana and Oregon (again) will all be offering classes in the next few months. USACM offers in-house custom training by company request. If you don’t live in any of these areas, take note: USACM and Washington State University are partnering on developing a digital training workshop that will soon be offered through the WSU platform. “Classes are selling out. Demand is growing and students are leaving way more enthusiastic about cider,” says USACM’s Executive Director, Michelle McGrath. 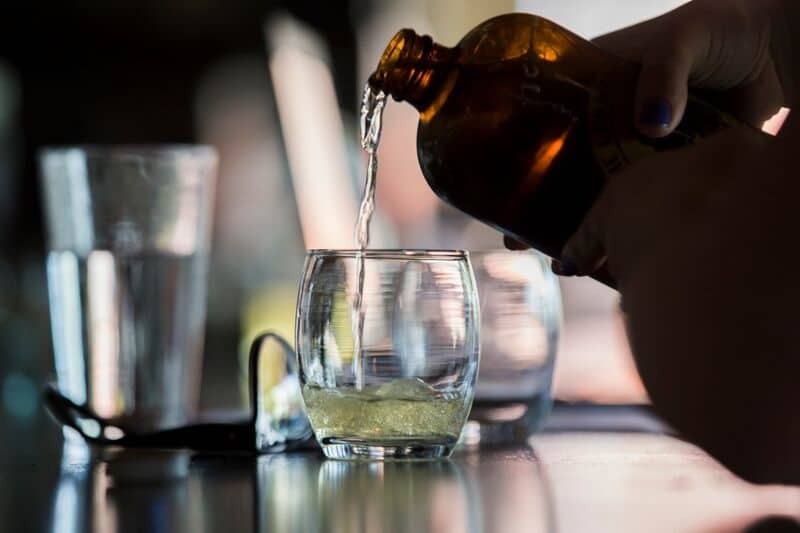 Bars, restaurants and cideries are jumping on board and some that have certified entire staffs, like ANXO Cider in Washington, DC, proudly display their team certificates on the wall. One example of a restaurant that’s taken the workshop and then the exam is Solstice, a wood-fired pizzeria, bar and restaurant in Hood River, Oregon. General Manager Natalie Price signed up her entire front-of-house staff (14 people total) for a CCP Level 1 workshop in April of 2018 and they took the test in June. The whole crew successfully passed! After the workshop, the team studied up on the list of cider reference books and study guide provided by USACM, they took some field trips, both to see the growing efforts and production of cider apples in the Hood River Valley, and into Portland to sip through the wide selection at bottle shops and cider-centric bars like Schilling Cider House. 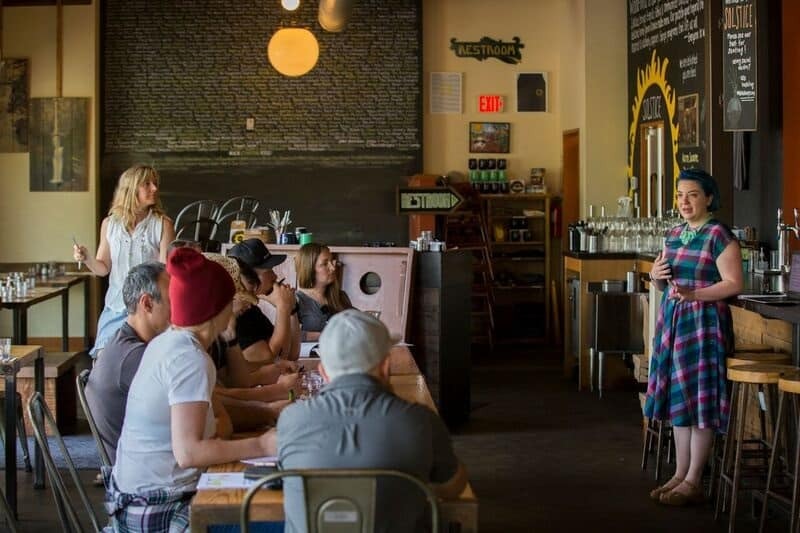 “There aren’t too many options for purchasing the more boutique style-ciders [in Hood River], so we branched out to the city for those resources and found a lot of cool new things that weren’t on our radars before, like ice cider and pommeau,” Price says. Price also reports that more than half of the staff has expressed interest in taking the CCP Level 2 exam. This hasn’t been an option yet, but we’re happy to share the news that the first-ever version of the Level 2 exam will be unveiled at Cider Con 2019, taking place February 4–8 in downtown Chicago. Whereas the Level 1 exam is entirely multiple choice, Level 2 will include sensory analysis (style and flaw identification) and short essay questions. 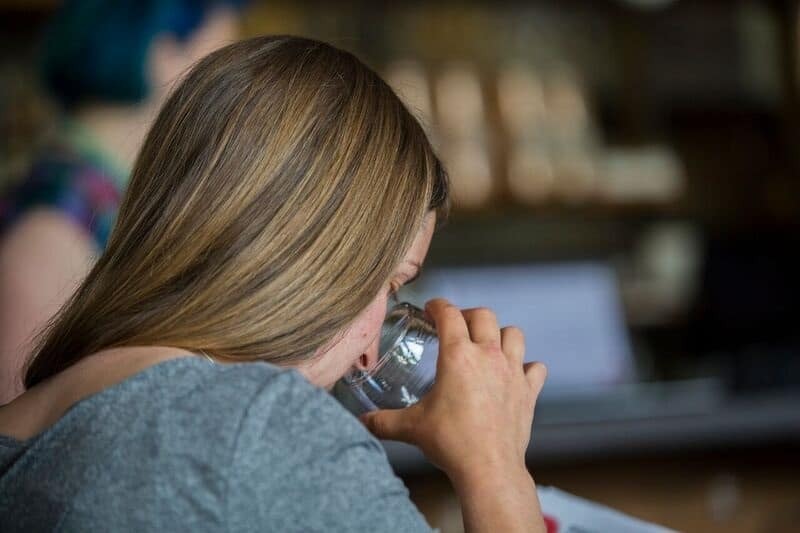 “We want test takers to demonstrate putting their cider knowledge to use,” says Brian Rutzen, Cider Director at The Northman and a USACM CCP working group member. Other CCP working group members include Eric McCrory of Angry Orchard, Jennie Dorsey of Schilling Cider House Portland and Darlene Hayes of allintocider.com. Also worth noting is that the Level 1 test relies heavily on the USACM Style Guide, V1.1. The style guide is currently open for public comment, and Level 2 will delve much deeper into cider styles, including traditional styles. For more information on the CCP program, visit the USACM’s website, and for just $75 for non-members, $60 for USACM members (bulk pricing is also available), you and your staff can join the elite group of certified cider professionals.